Komodo FXP system is the industry first CoaXPress image acquisition system without range limitations. The system uses fiber optic cables to provide high resolution image acquisition interface for distances up to 10km in single-mode and up to 400m in multi-mode. The Komodo FXP system is capable of receiving video streams from up to 4 CoaXPress links in single, dual or quad modes. It is used for simultaneous capture from up to four cameras. 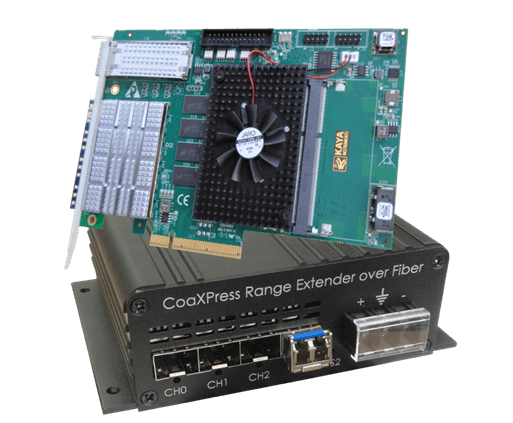 Each link supports standard CoaXPress bitrates up to 6.25 Gbps. This system is ideally suited for industrial, defense and aerospace Machine Vision Systems and applications. The system consists of Komodo Fiber frame grabber and CoaXPress to Fiber device. The remote unit converts CoaXPress links to fiber optic interface. 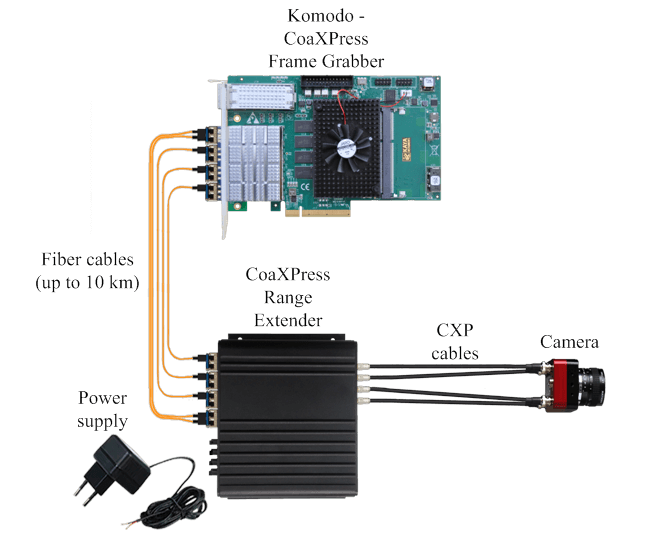 The Komodo Fiber FXP system uses a high performance flow through DMA to transmit video streams to computer memory through PCIe interface with minimal latency. This product also provides GPIO for machine control signals, such as triggers, shaft encoders, exposure control and general I/O, which can be control aside video stream acquisition. 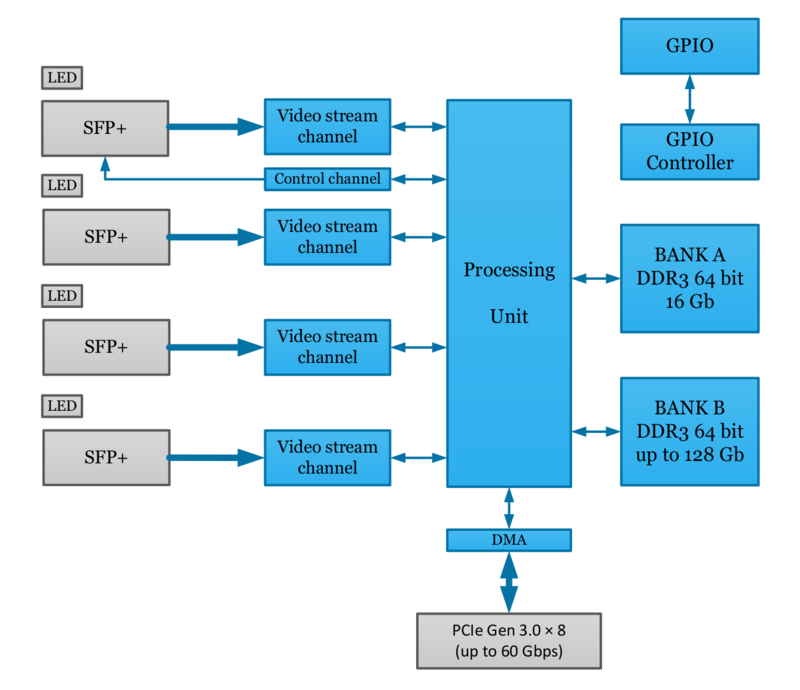 The Frame Grabber utilizes PCIe Gen3 x8 links for communication with Host PC for video uploading and configuration.